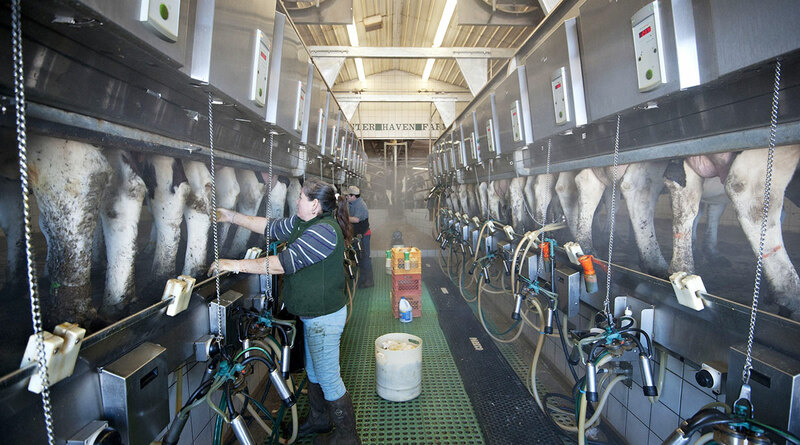 The number of female producers increased 27% in the five years through 2017, according to the first new federal census of U.S. farms since 2012. More farms are reporting that multiple individuals are involved in decision making, with total producers increasing 6.9% from 2012. The USDA has changed the way it reports on producer information in an “attempt to better represent all people involved in farm-decision making,” the agency said. Farmers are getting older. The average age climbed to 57.5 in 2017, up 1.2 years from five years earlier, according to the census. Producers tend to have a couple of decades of experience under their belt, and about 74% live on their farm. Data skews older on age, because the government’s definition of a farmer is extremely broad and includes people who don’t have commercial operations, said Scott Irwin, an agricultural economist at University of Illinois. Many Americans retire and want to raise cattle or sheep, and are essentially lifestyle farmers, but are counted in the survey. As the farming community gets more gender diverse, the racial makeup remains largely white. The number of Hispanic farmers increased 13%, but just to 112,451, while the number of black farmers rose about 2% to 45,508. About 3.2 million farmers are white, or 95% of the total. In the broader U.S. population, about 77% are white. The census data just goes through 2017 and it shows that even before the U.S.-China trade war kicked in, it became hard to make money through farming. Years of bumper crops have lead to bulging inventories. Relatively good growing weather has helped production expand across the global at a time when gains in crop technology also helped to boost yields. The bottom line is ample supplies are keeping prices stuck in a rout. Between 2012 and 2017, farms reporting net losses rose 1.2% to 1.15 million. That’s more than the number reporting net profits, which dropped 8.3% over the period to 891,329. American agriculture continues to consolidate with the number of farms declining about 3.3% to 2.04 million. Mega-operations, with sales of $5 million or more, accounted for 35% of all sales, compared with 32% in 2012.